1. 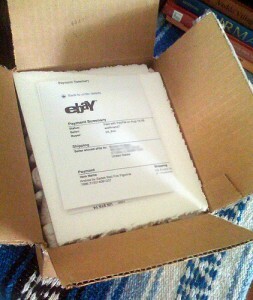 Buying and Reseling On Ebay. One the most common ways of making money online is buying and selling items on Ebay. It can be very lucrative if you find, produce or channel a product that is highly in demand for example: information products in the forms of ebooks, electronics, furniture, office supplies, apparel, etc. The key here is to out think the competition, since the creation of the Ebay phenomenon thousands of sellers have monetized on the opportunity. It’s important to find a product that you’re familiar with in order to be an effective seller; for example, don’t sell computers if you don’t know what “processor speed” is, you’ll just set yourself up for failure. If your having trouble finding a product try going to WWB, they offer products as well as information/ tools on how to find niche products and sell them on Ebay. You can also go to the Ebaystore to set up an inexpensive storefront if you don’t want to build your own. This business can be time consuming. You have to plan to spend at least 20-30 hrs/week. 2. Dropshipping. Dropshipping is almost the same as Ebay except that in dropshipping you don’t need to bother about moving the products yourself. With dropshipping you’re really working as a third party in the sense that you find vendor’s who’ll drop-ship, and when you make a sale, they deliver the products directly to the customer for you-thus, no inventory or overhead costs. One of the perks of dropshipping is that it can save you the money and hassle of running to UPS every month just to send or receive shipments. One more thing, you don’t have to purchase the product before you sell it. 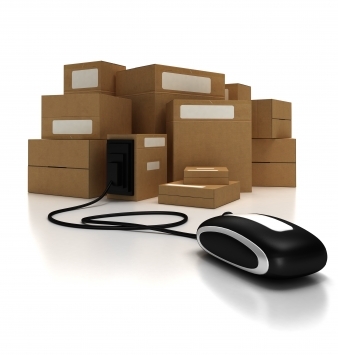 The whole business transactions simply work by just taking the order and relay it to the product supplier for shipping. Then you receive your check without having to buy anything. Okay, this discussion makes the dropshipping business sound fairly easy. In reality it requires an enough amount of information gathering and research in order to find hot and profitable products. The very first tool you will need to acquire is a dropship directory that you will use to find vendors who drop-ship. This will normally cost you anywhere from $60-90, but the little amount of money you spend will more than pay you back in safety and time. The only recommended resource for dropshipping directories is WorldWide again since they are the only vendor directory provider that is Ebay certified. You see, it’s not unusual to encounter a lot of fakes out their posing as dropship providers but in reality they are just “middlemen” trying to collect a commission. If you’re still starting and have limited knowledge it can be extremely time consuming to find reputable vendors with hot and profitable products that will work with dropshippers. If you are dealing with a bad vendor, backorders and returns can become a source of headache. 3. Electronic trading. Electronic trading or simply called Etrading is a new trend of online money maker that is growing more in popularity every day. As of now the biggest etrading market is the Forex (Foreign Exchange Market) which has a higher turnover rate than the U.S. equity market. Foreign currency trading is a highly lucrative market which entails simultaneous buying and selling of currency through the internet. Transactions usually take place Over the Counter (OTC) or via internet/phone, as there is no centralized location for trade such as with the stock or futures markets. For beginner traders, Forex offer trading tutorials and conferences for you to learn to trade. In addition they also allow you to have a taste of the market by permitting you to start trading with as little as a $25 investment. Forex trading is by nature a short time transaction because it does not entail long periods of holding before trading as compared with stocks or bonds. Around 85% of all currency trading transactions usually last around a week or less. One of the great advantage of trading with Forex is that you aren’t charged commissions or exchange fees. They also offer “real time” price quotes. If you want more information about the currency trading market and how to get started just head on to Forex.com. If you want to earn big bucks you should plan to allot an investment of at least $250. The market can be very sporadic and because of the short term nature you must stay informed, everyday or even every hour, of trends and economic changes that may cause value fluctuation. 4. MLM and Direct Selling. Business opportunities involving MLM and direct selling can be one of the most misrepresented and underestimated income opportunities on the web. This is mostly the result of false and misleading claims about products or services and income potential made by unscrupulous distributors and affiliate marketers. Multi Level Marketing or MLM companies are organizations that offer a product or service that is usually marketed by “word of mouth advertising” or compensating independent distributors to sell the products as compared to paid advertising such as radio, TV, newspaper. MLM distributors sell the products and make money through commission basis. 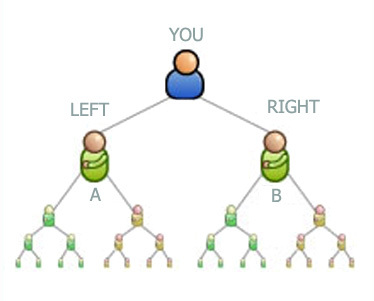 However in order to make a considerable amount of money one needs to “refer” or recruit more distributors, who then recruit more distributors, and so on. The money making secret to these kinds of businesses is to find established and legitimate companies with good commission systems and not spend time and money on small, “fly by night” MLM companies. On the other hand, direct selling is in essence MLM although they try hard to distinguish themselves. The only difference is that their products are usually sold in “higher ticket” or more expensive products. The immediate advantage of direct selling is that it allows you to make more income even with fewer recruits because you have higher commissions. Both MLM and direct selling opportunities are for individuals who have the desire and motivation to “run their own business”. You also have to understand that once you bring in people under you, you need to teach them how to do the same. Without doing this you won’t earn your dreamed amount of money. This business system is called the process of “duplication” which entails duplicating the work habits of successful individuals and teaching others to do the same. Your income can be unlimited and residual. So even when you retire from doing the business (realistically anywhere from 2-4 years) you’ll still be receiving checks! However, most MLM companies these days now requires you some sort of maintenance fees per month to continue receiving your rebates. MLM and direct selling business requires an initial investment which comes in the form of having to order or purchase a start-up kit. Now, if you’re not looking to invest anywhere between $50-250 for an MLM or at least $500-2k for Direct Selling maybe these businesses aren’t the one you’re looking. With numerous of newly established MLM companies on the internet it’s almost impossible to know what companies are paying people real money. You need to do thorough research before giving your investment. It is normal that you’ll find a high drop out rate in MLM’s. This is because of lack of adequate training from the recruiter or uplines as well as motivation on the recruits part. With that said you need to choose your upline carefully as many members will typically recruit you then leave you on the corner. The business of direct selling is little more challenging because of the type of products or services being offered. It’s more challenging to sell because of the fact that many people who are searching for a money making opportunity are doing so because money is tight. In short most of them don’t have a grand to invest in order to join the business you’re offering. 5. Affiliate Marketing. Affiliate marketing is very suitable for individuals who don’t want to sell a product / service of their own or don’t have the product to sell, don’t want to communicate with people on the phone or in person, and don’t want to invest a lot of money. An affiliate marketer is someone who advertises a company’s services and products on their site by simply placing banners or ads of the company’s site on their blog or website. When the merchant or product owner makes a sale from your website link, and in many cases even a referral from the affiliate’s site, the affiliate receives a commission. Affiliate marketing is not costly to begin with because most of the companies don’t ask money from you to become an affiliate, and why should they? If they do, then better be wary of them or rather stay away with companies who requires money just for joining as an affiliate. You see, you’re bringing them visitors which turn into more sales revenue, so why should they ask for a fee? While you don’t need to have your own site to become an affiliate, it is necessary if you’re looking to attract more visitors and want to make more money. 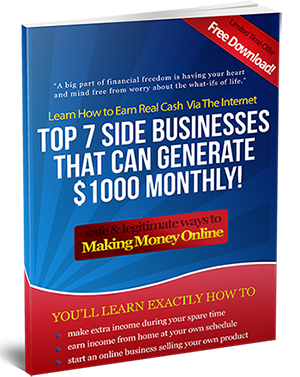 The secret here is joining a handful of good affiliate programs so that you can generate multiple streams of income. That’s how super affiliates make thousands of money per month. You need traffic or site visitors to your affiliate offers and that’s the stark reality in this business. If you don’t have traffic, what’s the point? It’s better if you actually have the knowledge and skills on how to drive traffic to websites. Many affiliate marketers DO NOT make money because of the fact that they don’t know how to market their programs. Starting an online money making business can be very much confusing and overwhelming especially if you’re a beginner and don’t have the proper knowledge and skills needed to succeed. The key is to start with one business model and stick to it. You can then try to venture into other business models if you start to get the hang of doing business online. You may choose to pursue one of the money making ways or business models discussed above but don’t allow the disadvantages mentioned discourage you! Most of these strategies can be profitable and the most commonly used ways to make money online. You just have to believe that you can be successful. Besides what business doesn’t have its own disadvantages? 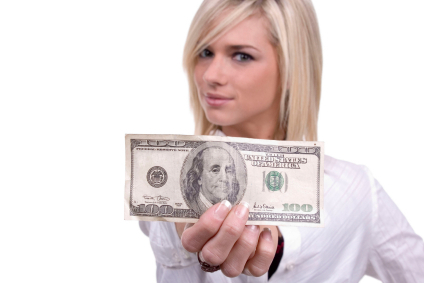 earning money online is a good job specially if you have lots of websites~”. Gracias for this entry, honestly, can you become a topic author for wikipedia because the current stuff submitted there for our hobby is frankly garbage. I don’t quite agree exactly with it but I agree with it on the most part and I wholeheartedly applaud your effort in putting it so clearly. Looks as if that you’ve positioned plenty of effort into your publish and I require extra of those using the online currently. I sincerely received a kick out of your post. I do not even have a lot to say in response, I solely wished to remark to reply great work.